Following numerous meetings with TfL representatives and last year’s update by Lauren Preteceille and Luke Stallard at our Steering Group meeting, we were invited to help design the plans for Tower Bridge Road at Palestra, Blackfriars Road. The plans have now been drafted and will soon be finalised following a public consultation. Full details are available on the TfL consultation website; the closing date for responses is Tuesday 15 April. 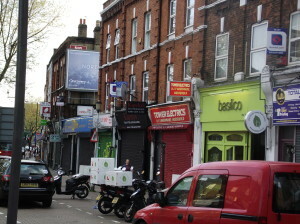 The project will see the repaving of the area between Bricklayers Arms roundabout and Grange Walk along with decluttering of the public space / triangle at the junction of Bermondsey Street. 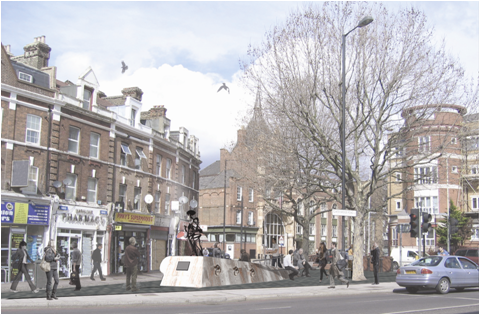 The scheme has been designed to incorporate the proposed Albert McKenzie VC memorial along with a new diagonal pedestrian crossing from Trocette Mansions to the Ruby Nails salon. Loading bays with flexible parking and new cycle parking are also part of the project. TBRA and TfL have been working closely to help make positive changes to Tower Bridge Road. Some examples include the roundabout scheme and the Abbey Street junction scheme. « RUDOLPH & DASHER VISIT TOWER BRIDGE ROAD!